Sat within the Seven Dials district of Brighton and Hove, Artisan is our new development of modern one, two and three-bedroom apartments, each of which is available on a Shared Ownership basis and free to move into immediately. Each Artisan property has an open plan layout, a contemporary kitchen with integrated white goods and a private balcony. Homes start from £113,750 (based on a 35% share). 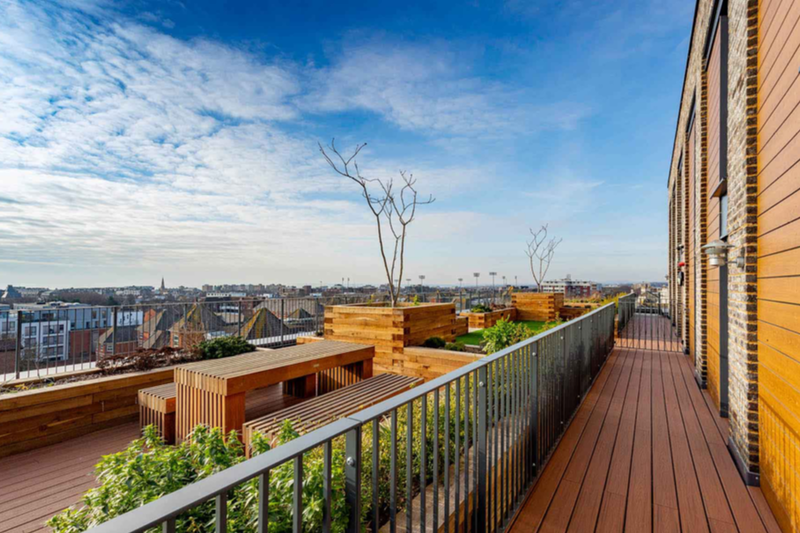 In addition to the great interior spec and private balconies, one of the best features about Artisan is its communal rooftop terrace and garden, which is located on the seventh floor. The terrace offers residents a view out to the sea and surrounding neighbourhood – making it the perfect spot for summer sundowners, entertaining friends or for morning yoga. Residents at Artisan also get access to a communal terrace on the fifth floor – a space that is equally as inviting as the seventh floor spot, and the perfect area to enjoy a coffee and read the weekend papers. You can view our communal terrace and gardens, as well as our modern collection of apartments from Wednesday to Saturday every week. To book an appointment, register your information on our website or call our team directly on 0300 555 2171. Are you looking for a stylish and modern home in Brighton & Hove? Our brand-new Shared Ownership development, Artisan, is perfectly located in the vibrant area of Brighton & Hove. Featuring a collection of one, two and three-bedroom homes, Artisan is coastal living at its best. To receive exclusive monthly email updates about this development, including floorplans, images, open day details, launch dates and prices, register your details with us now on our Artisan webpage.